Being the artist behind the brand ‘Me and My Peeps’ bring me so much joy and happiness. I love the way that it creates connections and enthusiasm for relationships. People tell me that they can really identify with their “Peep” once they choose it, almost like it becomes their little character. If you are curious about the story behind ‘Me and My Peeps’ – it is right HERE on my blog! The holiday season has arrived and to celebrate, I asked expressionery.com to send personalized stationery to some of my favorite blogger friends (okay…like a lot of them maybe). As they have been receiving their gifts and sharing, I can feel the joy of the connections spreading. Here are a few of my favorite pictures that they have shared socially this week! You can design your whole family and order lots of great products with your creation on expressionery.com. I am excited that in 2014 I finally changed my last name to my husband’s and this year I can write thank you notes on these fabulous note cards. The stationery that I design for Expressionery is great to give as gifts. My favorite gifts to give are to the kids’ teachers. They LOVE getting note cards and memo pads (and chocolate and candy canes)! I am pretty sure Mrs. Nolte is going to be thrilled. Hopefully she is not reading this. And my kids all have their very own this year. We will more than likely be sending out mailers filled with thank you notes to family after the holidays. Of course, Z has two less than everyone else because she cut two up and made earrings. Enter to win the opportunity to create your own note cards and a VISA gift card for $250. You can save money too! 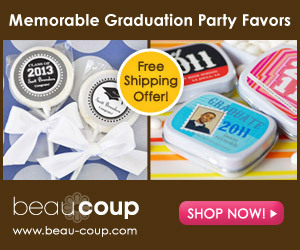 Use the promo code PEEPS and save 30% sitewide (excluding embossed stationery and paperweights. Laura – thank you for all the joy you’ve brought into the world with all of your adorable peeps! Awww, my pleasure Brandie! I love what I do and what it creates.